We are delighted to announce the signing of Sam Jackson, and the winger has signed on dual terms with the club and Coventry Sphinx FC. The versatile midfielder came through the youth ranks at Birmingham City, before joining Mansfield Town FC in August, 2016. Jackson also made the 2017/18 England College’s National Team for the Roma Caput Mundi Tournament. 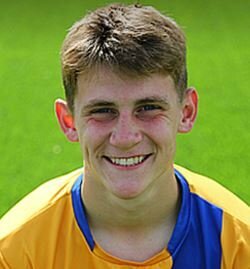 The 18-year-old ended his spell with Mansfield Town in the summer of 2018 and has made 4 appearances, scoring 2 goals for the Spinx Drive outfit.